The chilly breeze, the change of leaves and the upbeat holiday music are all indicators of the upcoming festive season. With the holiday season around the corner, it becomes difficult to decide the most suitable gift for your family and loved ones. Amongst other gifts such as an iPhone X or a satellite-radio service, a car stands out as a gift of utility and usefulness. A car is ideal for most age groups who need to commute for work and home-related purposes. However, purchasing a lavish gift as a car requires you to ask the right questions and correctly assess the situation before splurging money out of your wallet. 1) Is this the Right Time to buy a Car? It is rightly said that timing is everything. The holiday season brings the best deals on all cars, new and old. While you may be contemplating the timing of your purchase, it is best to understand the dealer’s side of things. Any dealer will wish to hike up sales of low demand cars during the end of the year because he will want to create shelf space for the new and upcoming stock. Therefore, the best time to get hold of your new car is before 31st December. Make the most of the holiday season deals and bargain your way to the dream car. 2) Which Car will serve my Purpose? The common thinking pattern is to go for a new car. Ask yourself which type of car will be useful for you or the person who is receiving it as a Christmas gift. Gifting a convertible for commuting to work will be a futile purchase. Get clarity regarding usage of the car. And, assess if a used car or a new car will serve the purpose. A used car will be helpful for short distances and serve as a pocket-friendly vehicle. Do not get distracted by all the holiday attractions and end up buying a car that does not fit your requirements. Choose the car that is in line with your needs and is useful in the long run. 3) How will I manage Money? Buying a home or car requires you to sort out your financial situation before you take plunge. Take note of all your current revenue streams and estimate your average spending every month. 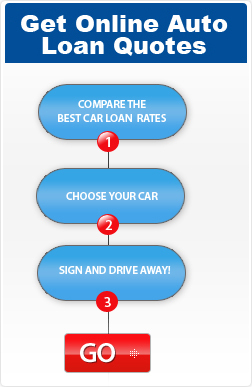 Opting for an auto loan is a great way to obtain a new car. Estimate the amount you can comfortably put aside for your monthly payments. Make sure your credit score is strong enough to claim your creditworthiness in the eyes of the dealer. Also, do not limit your financing options to dealerships only. Online auto financing is a credible option that will help you to shop around and choose the best alternative for getting your dream car. A Christmas gift can be a sign to show your loved ones how much you truly care for them. Purchasing a car is a huge step but making sure you carry out the process in the correct way is essential. Be a clever car buyer and make sure you make your calculations before making a purchase. Save right and spend right during this holiday season to get maximum returns over the long term. Do you want to gift a car to your loved ones? FastAutoLoanApproval.com can help you obtain guaranteed auto loan approval. The bad credit auto financing company is the perfect fit for individuals with credit issues. Apply now; get ready to buy a car this Christmas. Copyright © 2017 FastAutoLoanApproval.com - All Rights Reserved.